Compare our selection. 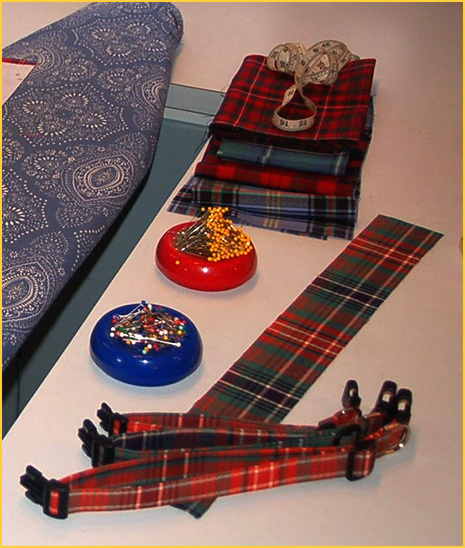 We have over 500 Scottish and Irish tartans from which to choose. 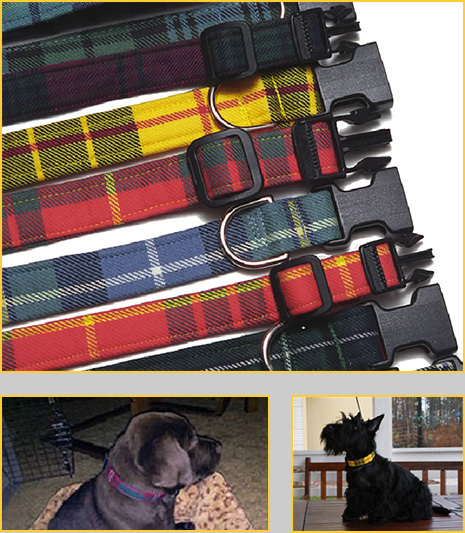 Our stunning authentic tartans come with a quick release buckle design and martingales for greater control. Available in 3/4 inch, 1 inch and 1.5 inch wide color fits. For safer control of your dog. 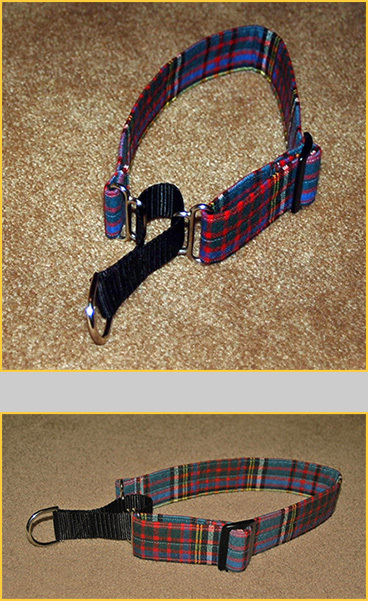 The smart alternative to slip or choke collars. 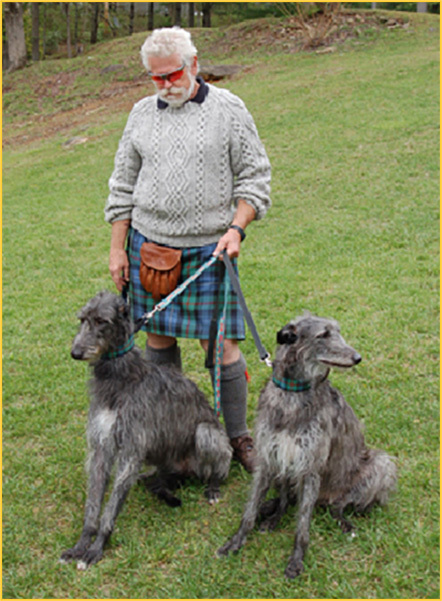 Perfect for sighthounds; prevents head from slipping out of collar. 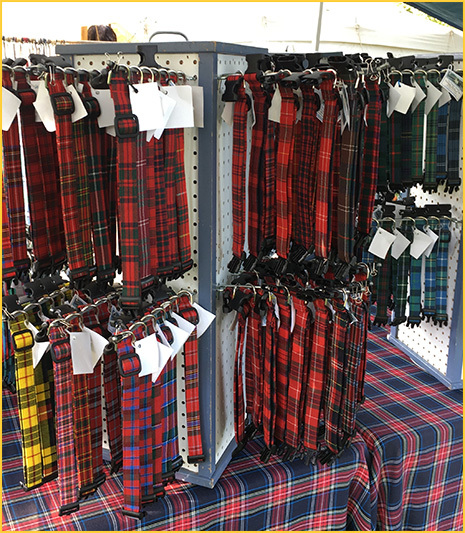 Custom-made to fit in choice of 500 most popular clan tartans.